SECO's "Featured Education" offers unique educational courses presented in our very popular Presentation Theaters and Learning Lounge. Check back often to see what new offerings are available! Some courses will offer COPE accreditation, while others are solely for educational purposes. Please note that some of these courses will require full access in order to view, others will be free to all, including our "Limited Access" members. 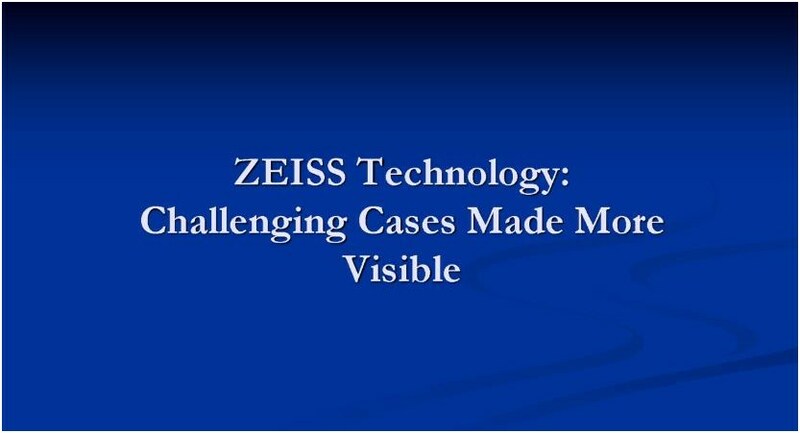 "Challenging Cases Made More Visible"
OCT technology has revolutionized the ability obtain crucial information regarding retinal disease. In this course - presented live at SECO 2018 - Drs. Jay Haynie, Eric Schmidt, and Michael Chaglasian illustrate and discuss cases that benefit from the improved visualization OCT and wide field fundus imagine allows, providing for better documentation and capturing views that are ordinarily challenging to see clinically. This course is open to all SECO University Members, both Full and Limited Access.